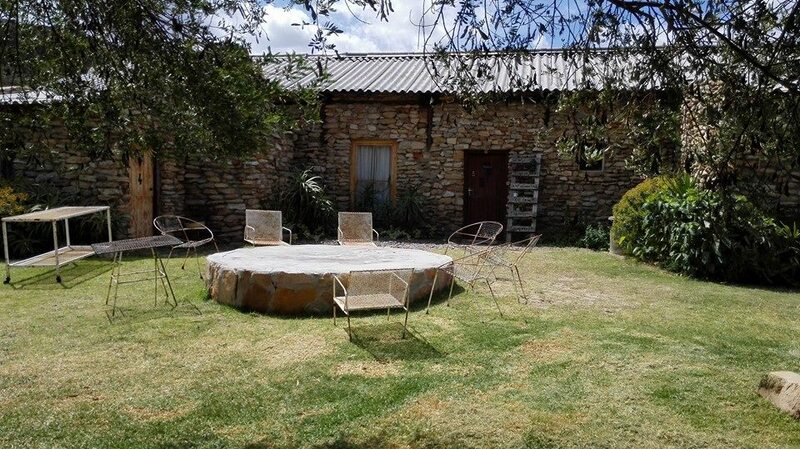 The “Klipstoor” has 4 units that can each accommodate from 7 to 10 people and the Thatched Cottages can accommodate from 7 – 12 guests each. The tariff is R105 per person without bedding and R135 per person with bedding with a minimum of R375 per hut per night. 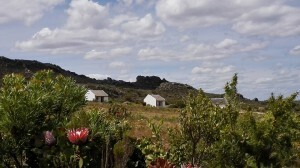 All accommodation are self catering. All units are equipped with crockery, cutlery and cookware. They have inside sanitary facilities and electricity, a two plate stove, fridge and a kettle. Each has their own inside and outside braai facilities. Bedding in Winter-Fitted sheet, pillow, duvet, blanket, towel and warm water bottle. Wood @ R25 per bag and must be ordered before arrival. Grocery purchases can also be done by Ruth on behalf of the hikers before they arrive at the accommodation. The cost is 20% of the total value of the groceries purchased. Guests must send their shopping list to Ruth on Thursday mornings before 10:00 am to ensure that everything is in place prior to arrival.